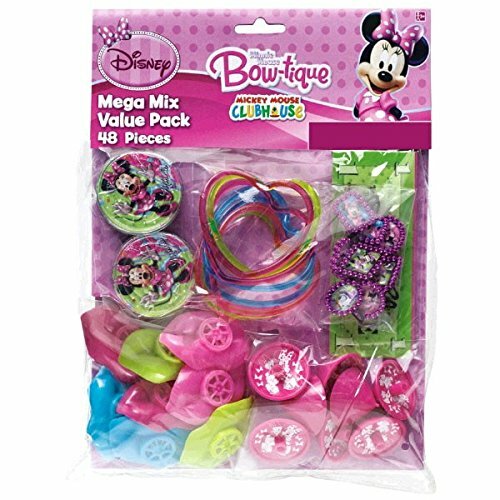 Piece of Cake Party Supplies » Disney Minnie Mouse Birthday Party Favours Set (48 Pack), Multi Color, 11 1/4″ x 8 1/4″. Let those mouseketeers have so much fun with this festive Minnie Mouse Favor Pack. Perfect as a goody bag stuffer for a kid’s birthday party.